So I’m in this awesome new restaurant in LA and working on their network and realize after I’m almost done that I hadn’t put an IP address on their HP Procurve 2530-24G switch. I didn’t bring my tool bag and I don’t have my USB to Serial adapter. It’s then that I look closely at the front of the switch for the first time and noticed a micro USB port on the front. What could that be!?! Sure enough, it’s a built in USB to serial adapter of sorts. I plug in a micro usb phone charger cable that I have in my bag and sure enough, windows starts detecting a device. It finishes and the new device icon goes away. Good to go, or so I thought. I look in Device Manager for the serial adapter, and all I see is HPN Serial Port with an exclamation point on it. Crap. I need a driver. 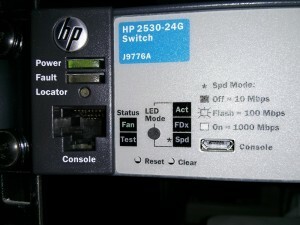 After searching on HP’s site and Google at large, I finally found the USB console driver I was looking for. I installed it and sure enough, I see the HPN Serial Port show up as COM4. I jump into putty and connect and just like magic, I’m consoled into the switch. Man I wish they had figured this out years ago! 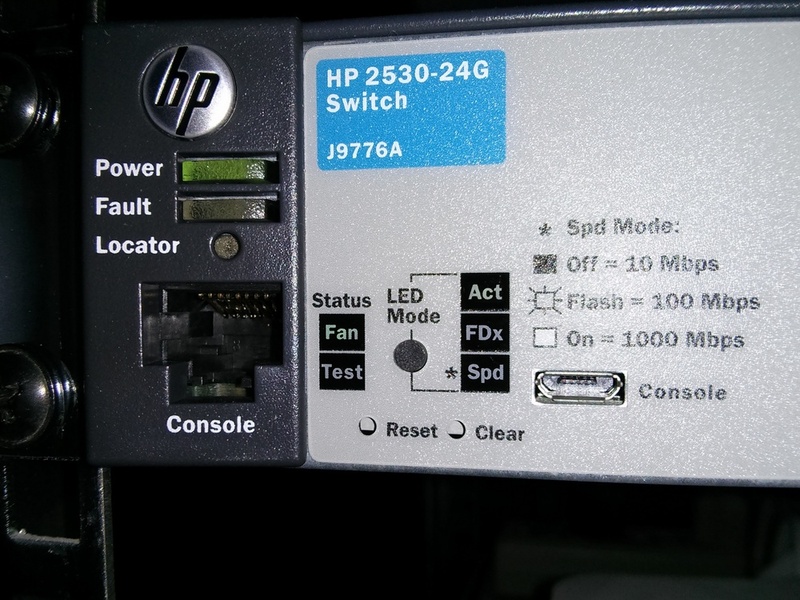 If you’re looking to download the HPN Serial Port driver download or HP USB Console download, look no further. Follow the link below to download it direct from HP’s website. Thanks to Pasi Järnstedt for providing an updated link! I searched also for this driver and found your post first.